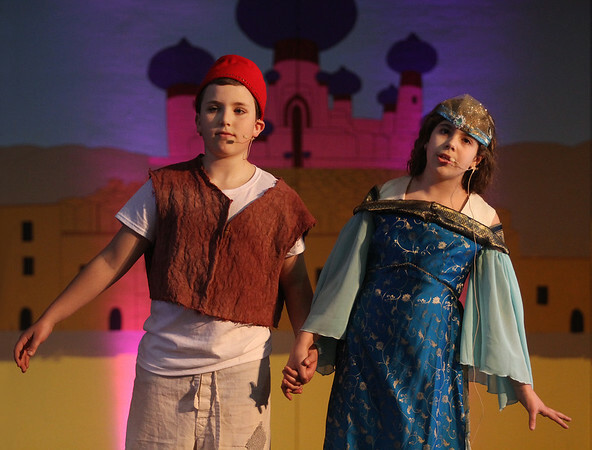 Zachary Oliver plays Aladdin and Marissa Numerosi plays Jasmine in a rehearsal Monday for the Beeman Elementary School production of the Disney musical "Aladdin KIDS." The play, directed by Heidi Dallin and with music directed by Beth Goldberg, opened Tuesday evening and continued on Wednesday. The final performance will be tonight at 7 p.m. at the Beeman School auditorium.